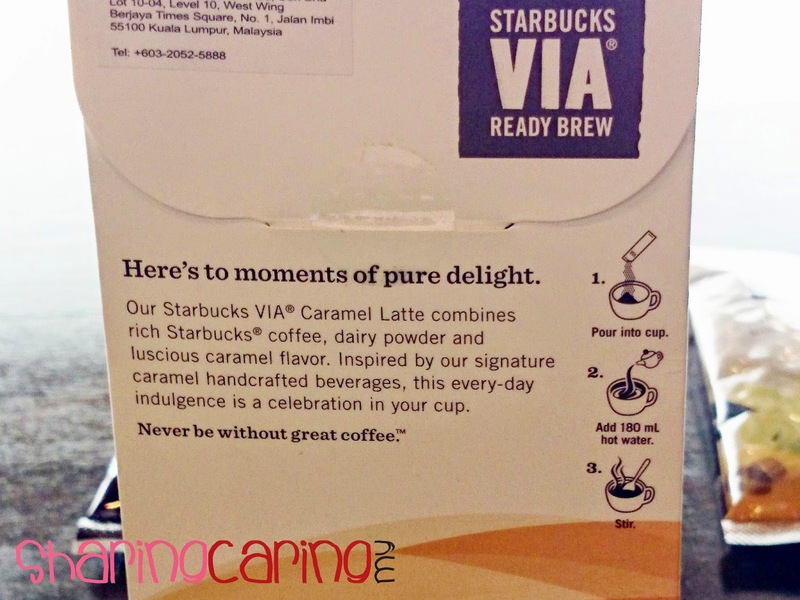 In this Autumn season, Starbucks Malaysia offers you new VIA Latte to boost up your days. 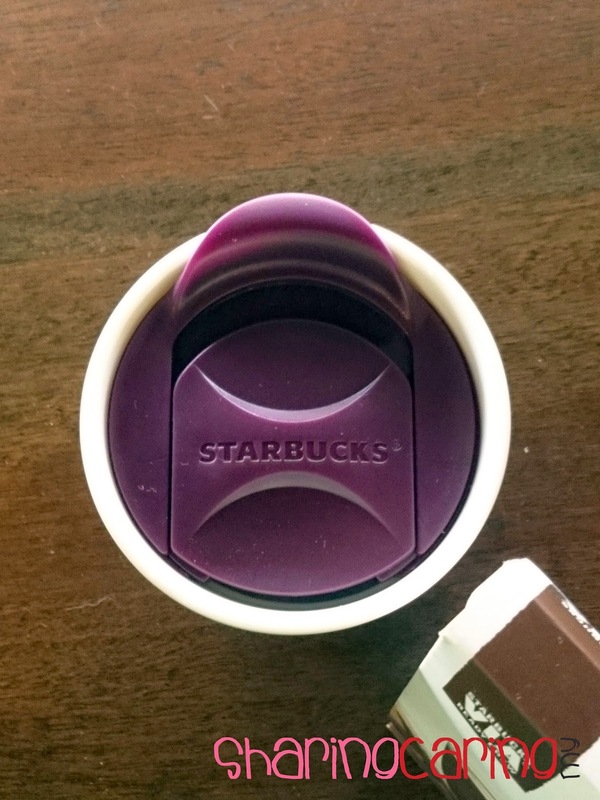 Starbucks VIA Latte is made with the quality you expect from Starbucks and enables you to have your favourite latte or mocha at home or on the go. 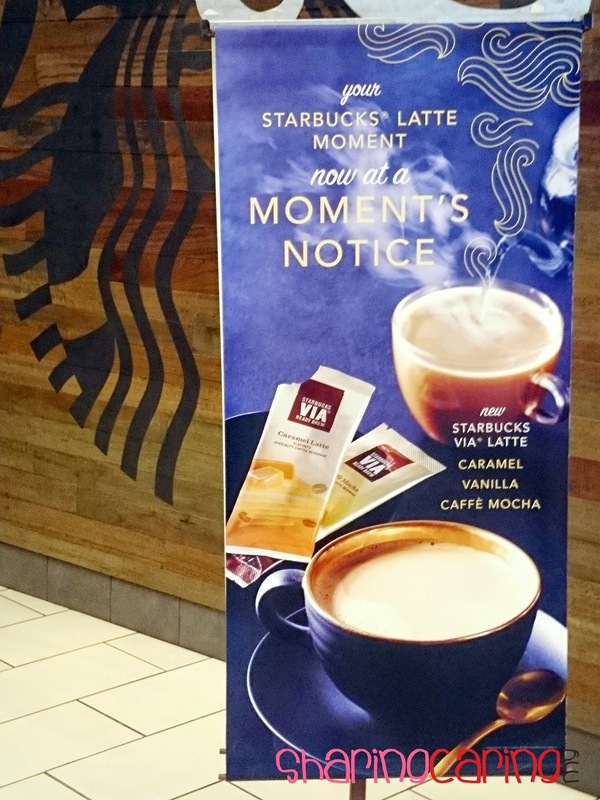 Starbucks VIA Latte now available at a moment’s notice by simply adding water when you can’t get to a Starbucks® store. 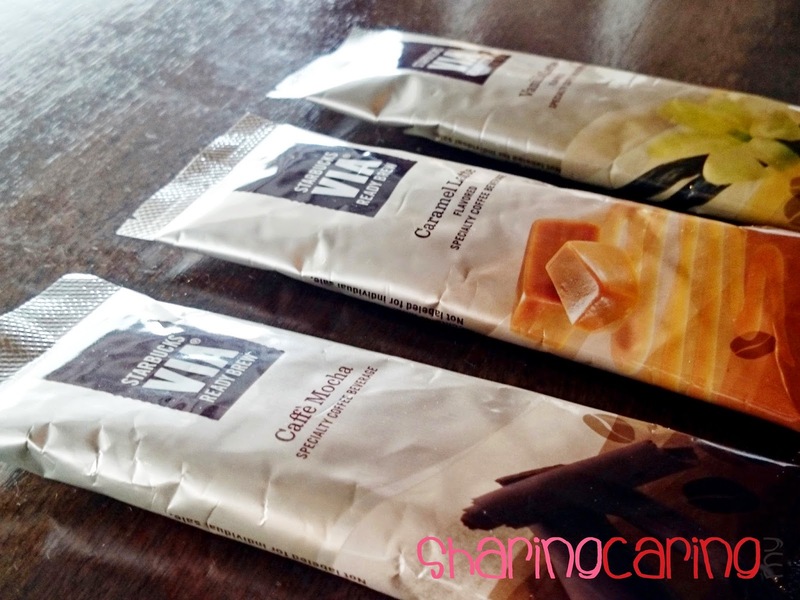 It’s simple to prepare in three simple steps adding hot water, stir well and slurp & enjoy! 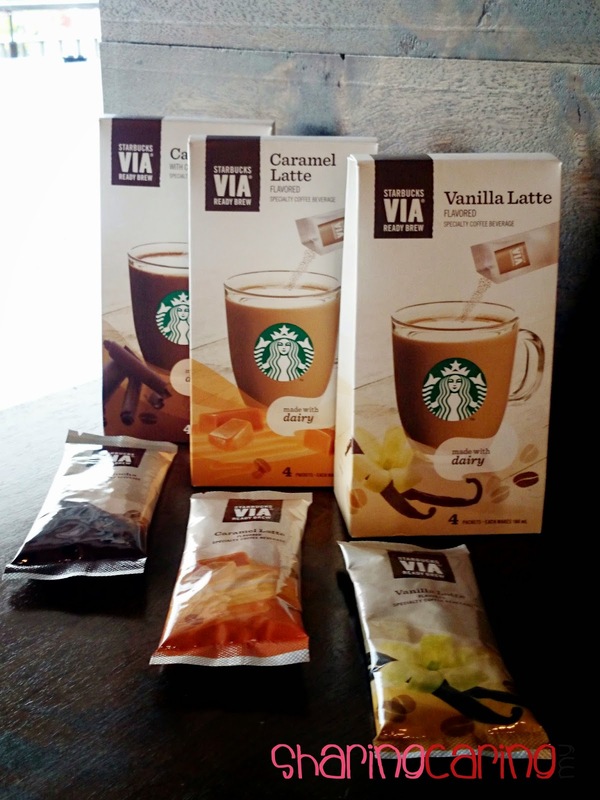 It comes in three of Starbucks most popular handcrafted flavours: Caffe Mocha, Vanilla Latte and Caramel Latte. 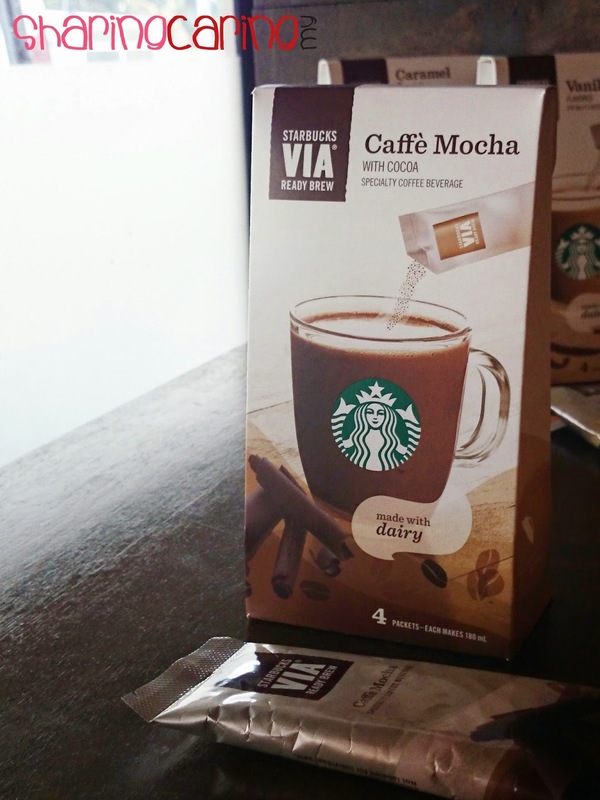 Starbucks VIA® Caffè Mocha: Inspired by the irresistible flavors of the handcrafted version, Starbucks® VIA Caffè Mocha is the perfect union of cocoa, Starbucks® coffee and natural dairy. 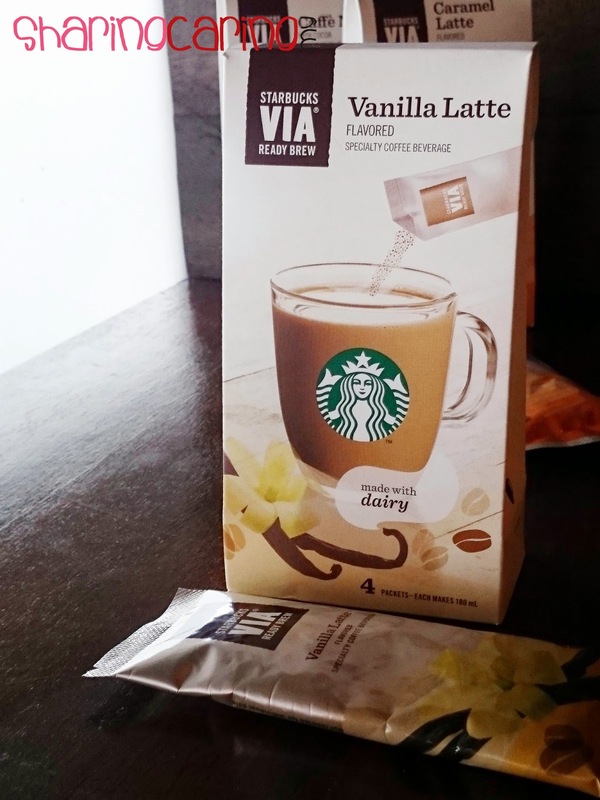 Starbucks VIA® Vanilla Latte: The much-loved Starbucks® Vanilla Latte inspired the creation of this everyday companion, featuring rich Starbucks® coffee, natural dairy and vanilla flavor. 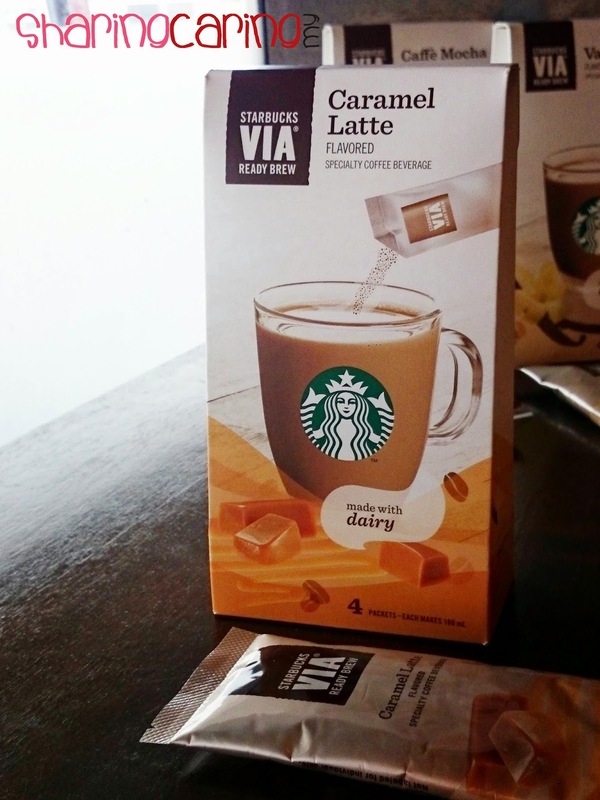 Starbucks VIA® Caramel Latte: Combine of rich Starbucks coffee, velvety milk and luscious caramel create a prefect beverage in full of rich flavor. 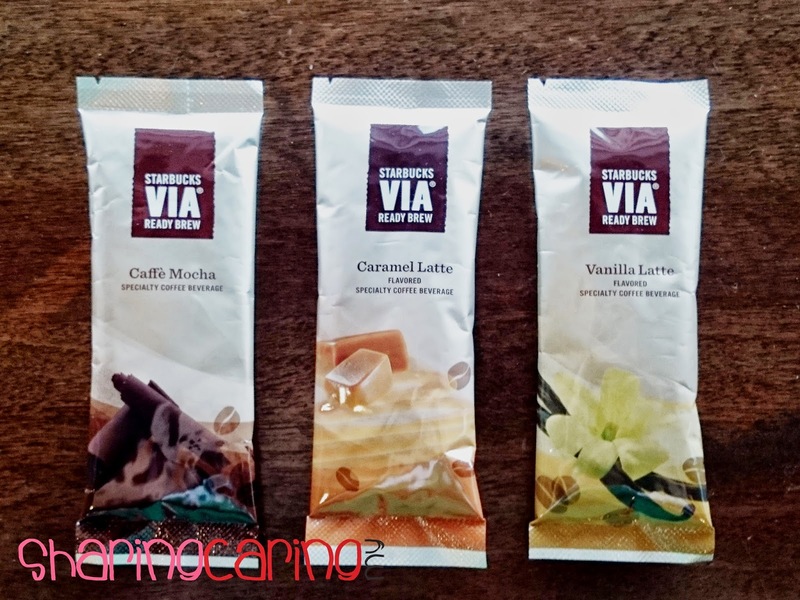 Starbucks Malaysia selling their Starbucks VIA® Latte at RM12 for 4 sachets in each package. 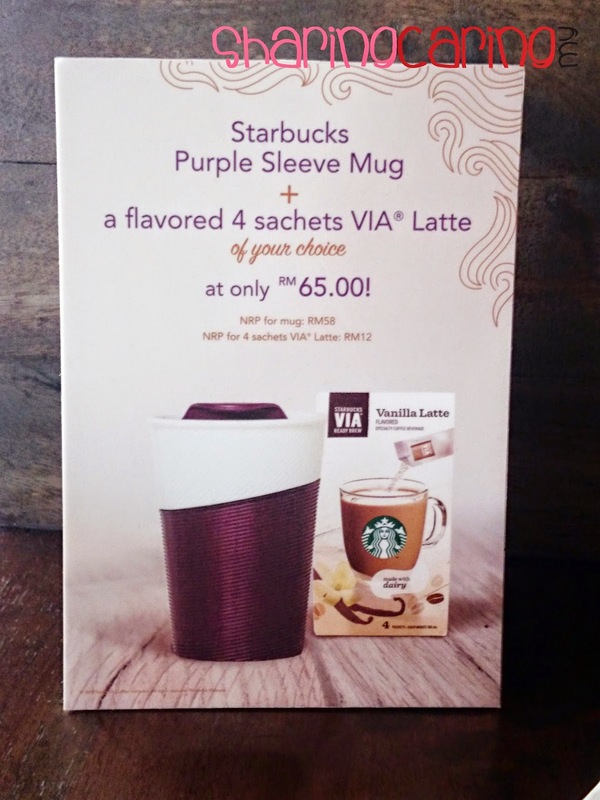 You may also grab new purple sleeve Mug at RM58 to full in your Starbucks VIA® Latte. 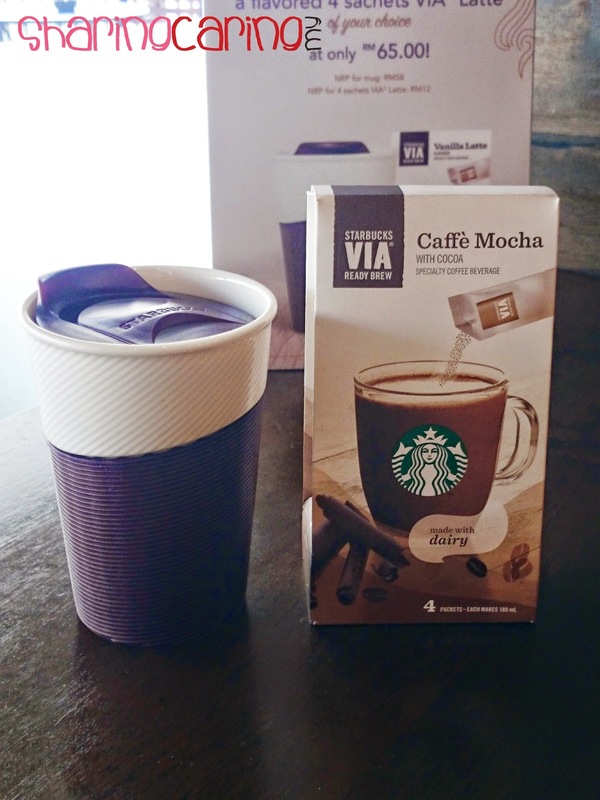 They offers more cheaper prices with the purple sleeve mug and a flavoured 4 sachets Starbucks VIA® Latte of your choice at only RM65. 1. 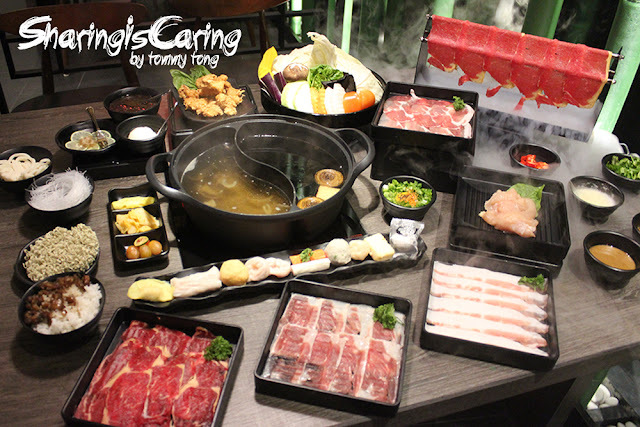 Water should be HOT, not boiling (74-85Celcius). 2. 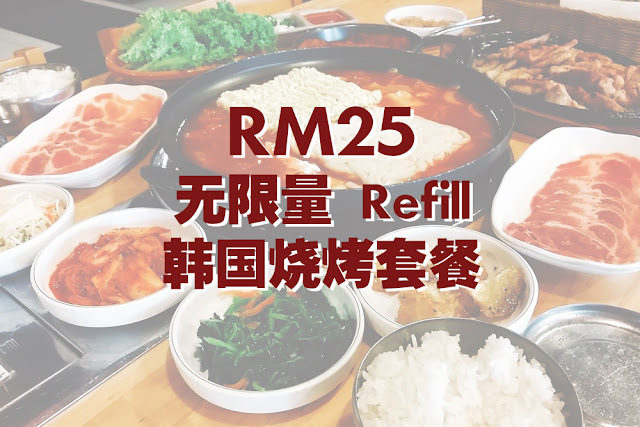 Stir product to fully incoroporate the ingredients.